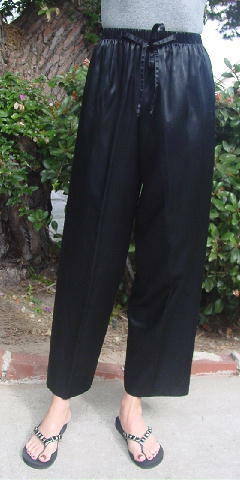 These black 50% rayon and 50% acetate pants are vintage (early 1990s) Vantage blue. There is an elastic waistband and faux drawstrings. 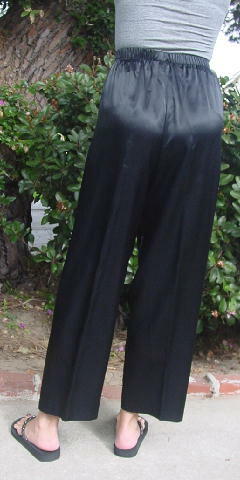 The fabric is shiny and the pant legs are wide. The tag says M, but they fit like a size S/M. A Hollywood actress wore them low, with high heels and a sequined top.